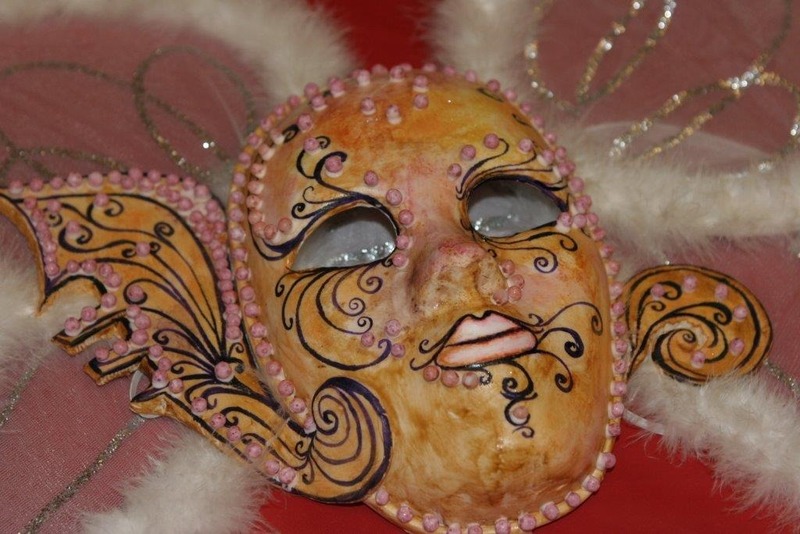 While writing the recipe for the castagnole, I was looking for some pictures and I found those Carnevale masks I had almost forgotten about. 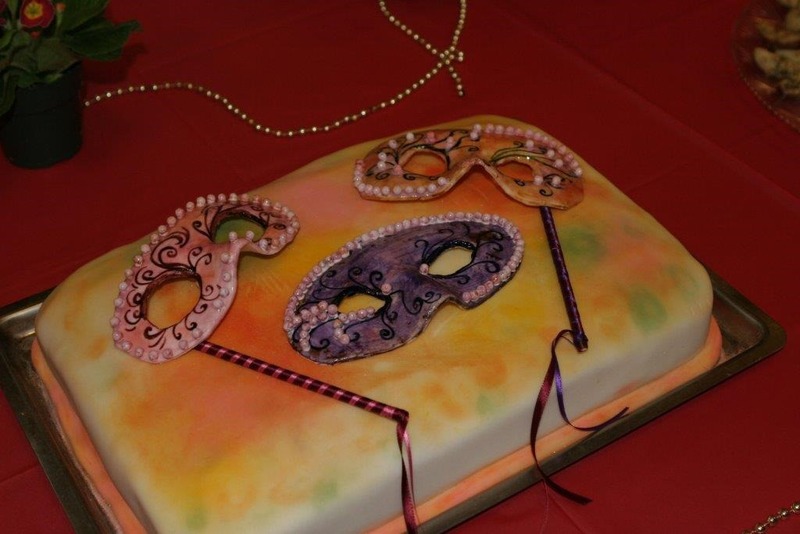 I made them for a Carnevale party I hosted five or six years ago. I made the big one with the intention of decorating a cake with it, but then decided to use the small ones instead. As usual, my friend C. helped me putting the cake together. You made them? The masks too? Or did you just buy the masks and paint them? They’re beautiful! Thank you! 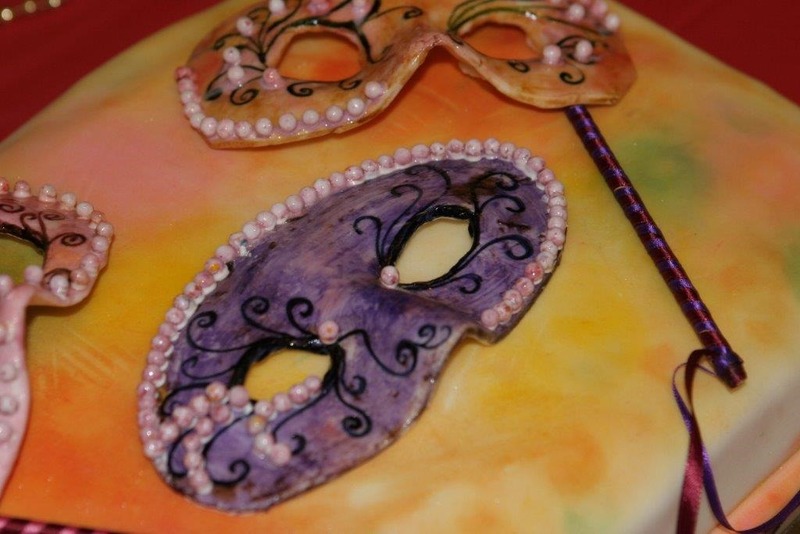 I made them by molding a thick sugar paste sheet over cheap plastic masks. 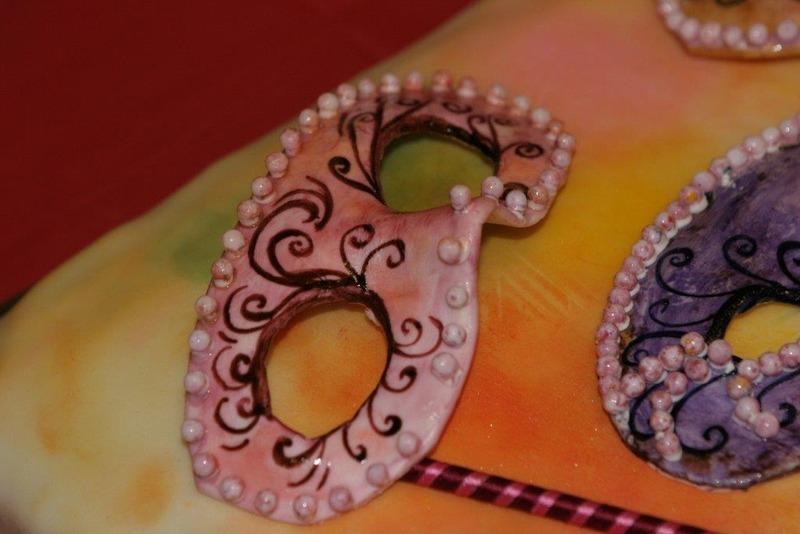 Then when completely dry, it took about one full day, I carefully removed the plastic molds and painted the sugar paste masks with edible watercolors. It was lots of fun. You’re amazingly talented. And thanks for the castagnole recipe.